Computers and computing devices are much more than a luxury. The Internet is arguably a utility to which all should have access, and most homes do have consistent Web access. While home computing has become easier as technology has evolved, it still presents many challenges to the average home user. Many computer users have opted to hire computer service providers as a way to get more out of their computing and make their lives easier in the process. Our computers have become integral aspects of our lives. Many of us store significant amounts of important and very personal information on these devices. Should such data become misplaced, corrupted or even deleted due to user or hardware error, many of us would be in a bad place with little to no means of recovering that data. Therefore, the biggest benefit a computer repair service can provide you is helping you to protect that data. Among those most effective and efficient ways to do that is automatic redundancy, such as having your data backed up to the cloud on a regular schedule. But what if data does become damaged or lost? Even if with automatic backup, a power outage, for instance, could interrupt that protection. Other potential issues include hard disk failures, application errors, user mistakes, blue screens of death and so on and so forth. 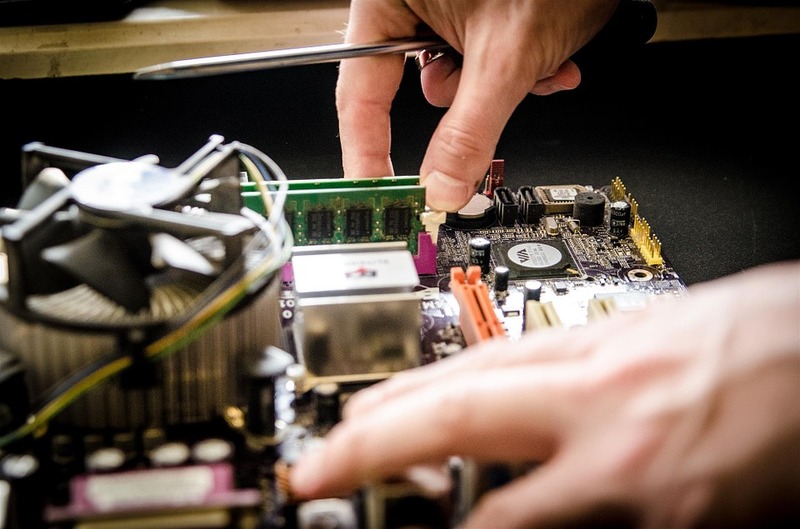 So, another benefit that a computer repair service company can provide you is data recovery services. In many cases, all data can be recovered, and even when that isn’t possible, it usually is possible to recover some and even most of the data affected by the issue. The modern home desktop computer is highly expandable and upgradable. That makes computing very cost-effective. In fact, many home computer users don’t purchase new systems often but rather breathe new life into their existing computer setups. An advantage of having a relationship with a computer service company is that you can rely on their expertise. Want a new video card? Ask them not only about compatibility with your current motherboard but their opinion of the products providing the best bang for the buck. This level of professional advice often extends beyond PC desktop upgrades to all aspects of gadgeteering: networking, laptops, smartphones, tablets, televisions and so on and so forth. These companies can often acquire components and devices cheaper than you can. Sure, they’ll charge you a fee for installation, but in the end, you can often pay a similar amount, get the equipment you need and have it installed fast by a pro, which is often worth it just in terms of the time saved. The average home user is not getting the most of the Internet service paid for. Additionally, more homeowners than not contend with wireless access issues throughout their homes, including dead spots. If you’ve ever called an ISP to attempt to diagnose such problems, then you know how frustrating that can be. It almost always begins with power cycling before kicking you up the chain. By hiring a service, you can get an objective and third-party opinion about your service and your equipment. A professional technician can test and calibrate your setup. If your ISP is failing you, you’ll have the evidence needed to motivate them to action. If not, then you’ll have the technician available to help you get the most out of your access. Purchasing and setting up network equipment can be quite challenging for the average user. A pro can make recommendations that help you make smart choices and save money. This advice can also include options that the average homeowner may not be aware of, such as mesh networks, powerline adapters, range extenders and so forth. Certainly, not all home computer services are created equal. Some will suit your needs and computing environment better than others. It can help to contact some of the providers in your area and ask them how they can serve you. Many even offer free advice and similar resources as well as maintenance programs that let you have them on call for a small monthly fee.